Slonem has always had a strong connection to the subjects he represents in his work. 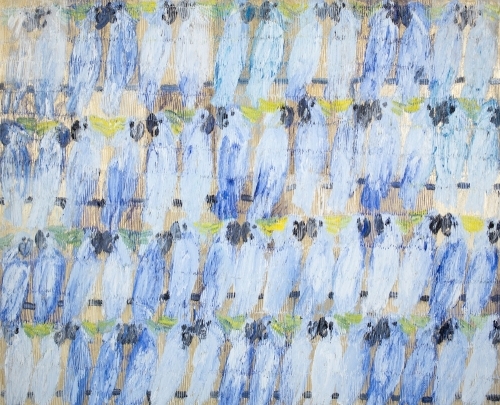 As a child, Slonem first felt a connection to birds while living in Hawaii, which deepened further during his time in Central America where he was inspired by the people’s devotion and spiritual fervor. 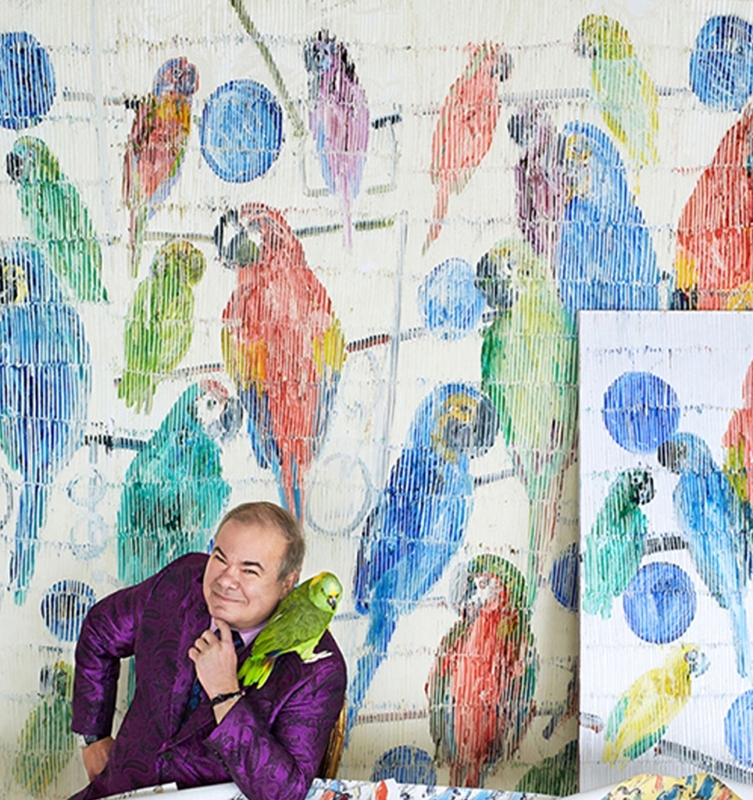 The fascination continued into adulthood; not only does he admire the colorful animals from afar, but he also collects the exotic birds, which reside with him in his New York studio. The lush studio is a sanctuary for the animals and the artist. His constant companions flitter and chat around him all day helping Slonem to capture his immediate surroundings with rhythm and style. The poet and art critic John Ashbery describes Slonem’s depiction of these ephemeral creatures as, “dazzling explosions of the variable life around us that need only to be looked at in order to spring into being.” Slonem creates beautiful, surprising scenes that offer a calming joy to those who encounter it. Additionally, the mythological aspects that birds and other animals can symbolize inspire Slonem’s art. Slonem has extensively traveled the globe making him keenly aware of biodiversity and appreciative of cultural differences. In older bodies of work, references to spiritually charged objects are much more apparent and literal. For example, Slonem favored depicting Catholic and Hindu saints surrounding animals early on. However, in his most recent series, the saints have been removed, and all spiritual references reside in the exquisiteness of the animals alone. Their simplistic figures fill the entirety of Slonem’s compositions. Whether the canvas consists of a single figure of a bunny or echoes the form dozens of times, the viewer is suddenly confronted with the simplistic beauty of the animal. Henry Geldzahler wrote on the effect of experiencing Hunt Slonem’s canvases as an “esthetic of ocular activity; the viewer’s eye is set in almost constant motion, flicking about to take in the entire rectangle. [The animals] are rarely in sharp focus; their shapes are somewhat misted and often, repeated so as to create a pattern which itself must be uncoded.” For a moment, the beauty of pure form is the only thing the viewer absorbs, slowly Slonem’s creatures come into focus in full exotic, vibrant force. Slonem continues his tradition of utilizing the intense colors of the neo-expressional style that mirrors the interesting worlds in which these animals exist. He describes his work with one word, “Exotica.” Through spontaneous creative acts, Slonem eulogizes the life of animals. While his subjects have remained consistent over the last decade, Slonem continues to use new techniques to create joy and surprise for the viewer.